The Anejo Highball is one of the great modern cocktails and it's one that everyone should try and every bartender should know. Dale DeGroff created the drink in 2000 as a tribute to Cuban bartenders of the ​early 1900's. The añejo (or old) rum really makes this drink, so it's best not to skimp on that ingredient or the orange curacao for that matter (Cointreau is a worthy substitute). This is simply a ​great mixed drink, especially for summer or anytime you want a taste of the Caribbean without getting too fruity. 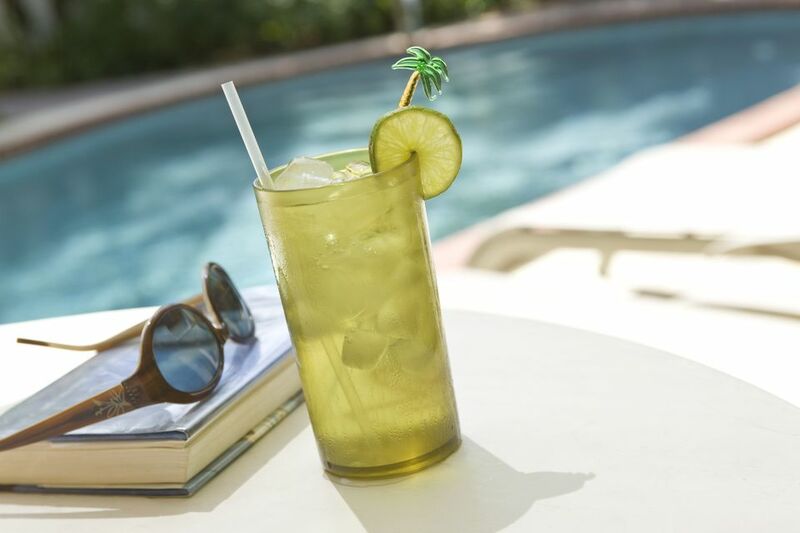 Build the rum, curacao, lime juice and bitters in a highball glass filled with ice. Garnish with the orange and lime. Dale DeGroff is one of the masters of modern mixology. His nickname is 'King Cocktail,' and he has been instrumental in transforming the modern cocktail scene with his decades of experience behind the bar. He has also authored a number of bartending guides, including "The Craft of the Cocktail" which is essential for any bartender's library. Both the Anejo Highball and Irish Blond have that classic styling we love about well-crafted cocktails, they're simply new additions to the scene. They show off DeGroff's skill and style and are truly memorable drinks. The Irish Blond is a simple mix of 2 ounces Michael Collins Irish Whiskey, 3/4 ounce orange curacao, 1/4 ounce Fino sherry, and a dash of orange bitters. It is stirred, then strained into a cocktail glass before a flamed orange peel is expressed over the drink. How Strong Is the Anejo Highball? The Anejo Highball weighs in around 17 percent ABV (28 proof), which makes it a nice casual drink for a happy hour and lazy afternoons.